Weekly, the Dynamics GP team will be posting a ‘Did you know?’ series. 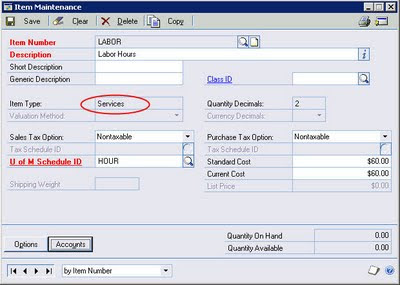 We’ll give tips, tricks, and general comments around features and functions that already exist in Microsoft Dynamics GP. This week we will focus on the HITB. As you may know, the Inventory BOM is a great little tool for accumulating assembly costs for simple, single-level manufactured items. However, the IV BOM does have its limitations. It's generally useful for capturing only the material component of assembly costs. But, all is not lost. 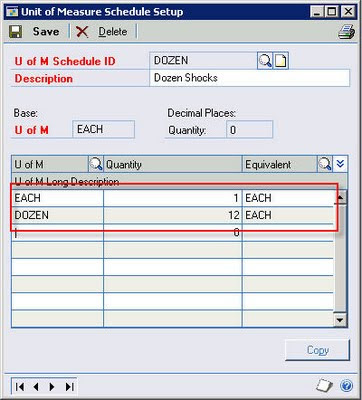 If you want to incorporate labor costs into your IV BOM Assemblies (and/or overhead costs, for that matter), here's a way to do it. 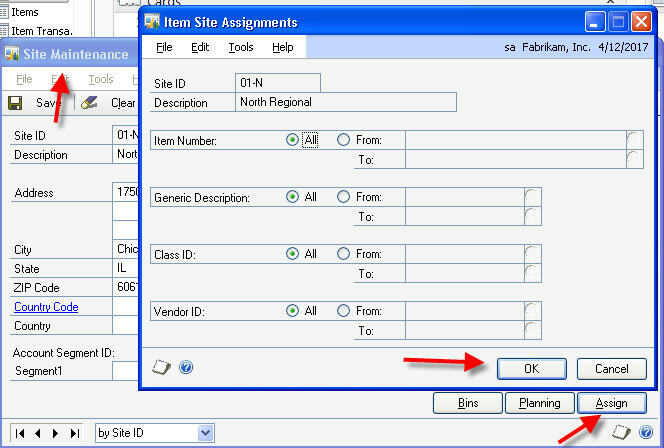 Simply setup an item and call it 'LABOR' or some other descriptive item number. 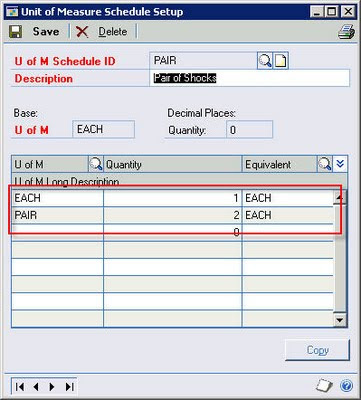 Set the item as a 'Services' Type so you don't have to worry about inventory shortages, as quantities are not tracked for Service items. Let's make this really simple. Say your company buys and sells automotive shock absorbers. You stock them as 'EACH', buy them by the 'DOZEN', and sell them in 'PAIRs'. Okay, I'm sneaking this one in just under the wire today but here it is. 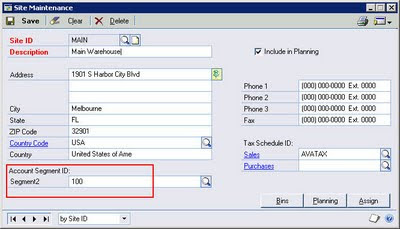 Sometimes it is necessary to change the valuation method on one, many, or all of your inventory items. This can be due to an item having been setup incorrectly or perhaps a management decision to change the inventory valuation method from say, Average Perpetual to FIFO Perpetual. 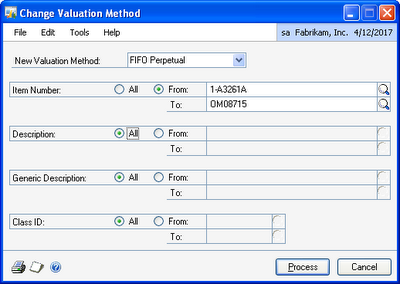 Using FIFO or LIFO Perpetual to value your inventory? Want a Stock Status report that ties back to your GL balance? Kits and BOMs and Components, Oh My! What do you think of when I say "Inventory Transfer Entry"? 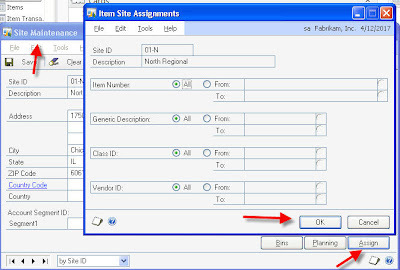 If you are like most folks, you think of the window that allows you to transfer an item from site to site. But, actually, that window is Item Transfer Entry (TransactionsInventory). Inventory Transfer Entry is actually a project accounting window (TransactionsProject) with a variety of uses. 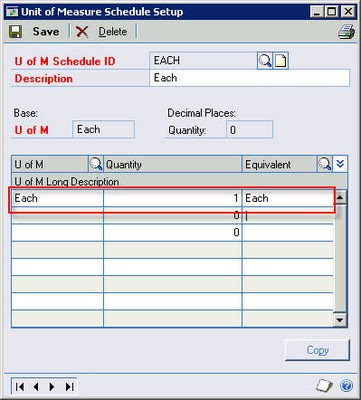 Record purchase order for inventory item and associate it with a project and cost category, which increases the committed cost on the project budget. If you are in a situation where you’ve added a lot of inventory items, you can save yourself or invoice entry people a lot of time by assigning them to a site right away. So, last week I was on phone support (which sometimes happens when the stars align and our regular support folks actually want to take the vacation they have earned), I had a case come through that was a great reminder of the benefits of classes in Dynamics GP.